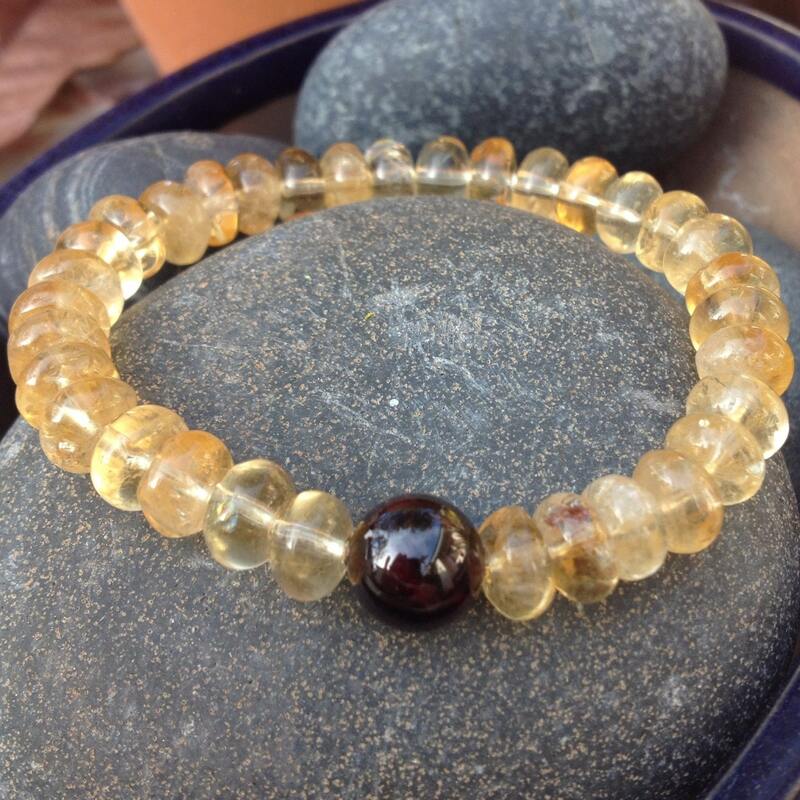 This citrine rondelle bracelet has a dark maroon garnet focal bead. Citrine symbolizes prosperity and creativity - manifestation of one's dreams. It also traditionally is said to help with depression. 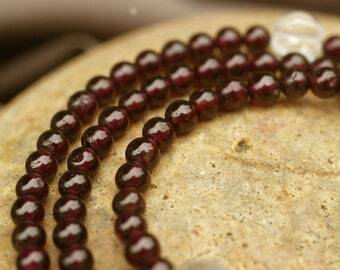 Garnet symbolizes prosperity and creativity and is said to be helpful with business. These are just a few of the wonderful meanings of these two stones. 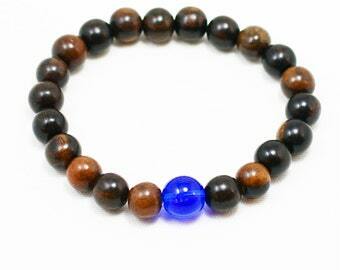 This wrist mala is made to order and fits a 6.5 inch wrist but can be adjusted for a small charge. Just leave your wrist size in the note to seller. Strung with love and prayer on strong stretch cord that lasts and lasts.